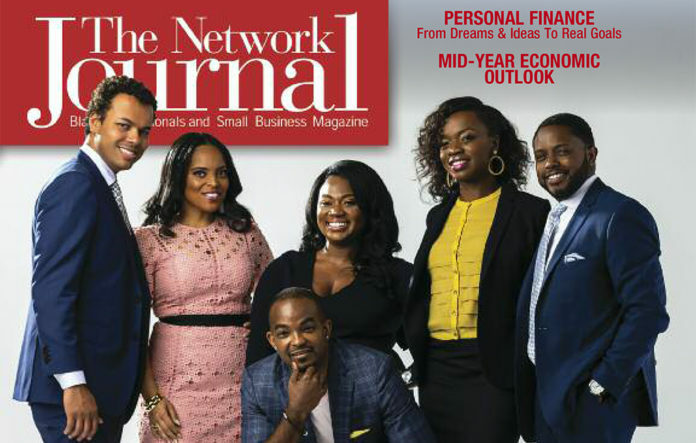 The Network Journal (TNJ, TNJ.com), the New York tri-state area?s premier quarterly magazine and online business news website for Black professionals, corporate executives and small-business owners, announces the recipients of its 2018 “40 Under Forty” Achievement Awards. The annual award recognizes outstanding young African-Americans who are ?reaching for higher goals? in their careers while remaining committed to their community?s development. ?As we celebrate the 21st Anniversary of our 40 Under Forty Achievers awards, The Network Journal cherishes its role in recognizing up-and-coming African-American men and women who show promise and commitment in their careers, and as a facilitator to showcase the talents of these professionals to our vast network of corporate affiliations,? Aziz Gueye Adetimirin, TNJ publisher, said. This year?s class will be profiled in the SUMMER 2018 issue of TNJ and honored at the 21st Annual ?40 Under Forty? Achievement Awards Ceremony on Thursday, June 21, 2018, at New York Institute of Technology Auditorium, 1871 Broadway (bet. 61st and 62nd streets), New York City, from 6:30 p.m. to 9:30 p.m. The awards ceremony, themed ?Reaching for Higher Goals,? will feature Keynote Speaker Amos Winbush, III, CEO of AW3 Media and co-founder of KEV – Kingdom Equity Ventures. A 2011 Network Journal ?40 Under Forty? honoree, Winbush is the first African-American to headline ABC?s ?The Secret Millionaire? series. The awards ceremony is co-sponsored by AfricaStrictlyBusiness.com and African American Golfers Digest. Tickets are $275.00 if purchased on or before June 12th, and $325.00 thereafter. To purchase tickets, please visit www.TNJ.com. Javont? Anyabwel? ; Vice President, Global Strategic Sourcing for Hotel, Corporate Indirect, On Board Revenue, Carnival Corporation & PLC. Khary P. Barnes; Vice President, Global Commercial Services, American Express Co.
Samuel Bright; Senior Director, General Manager-Art & Collectibles, eBay Inc.
Rachel A. Ramsay-Lowe, Esq. ; Associate Attorney, Marshall, Dennehey, Warner, Coleman & Goggin, P.C. Sabrina Tucker-Barrett; Founder, President & CEO, Girls for Technology, Inc.
About the ?40 Under Forty? TNJ created the 40 Under Forty Achievement Awards in 1997 to recognize young African-Americans who have proven to be exceptional performers in their industry and committed contributors to the advancement of their community. The program is designed to promote mentorship and professional development for these next-generation leaders by introducing them to the established business community as role models for young African-Americans. For more information on TNJ?s 40 Under Forty Achievement Awards, visit www.tnj.com, or contact Chelsee Lisbon at 212-962-3791 x206, or at Chelsee@tnj.com.